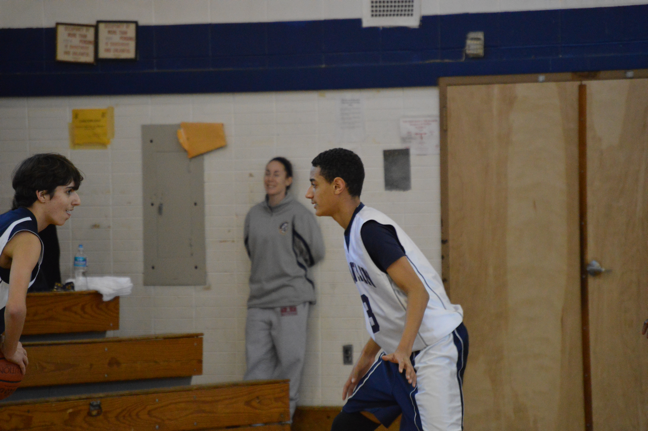 Added by Bill Bowman on January 24, 2014. 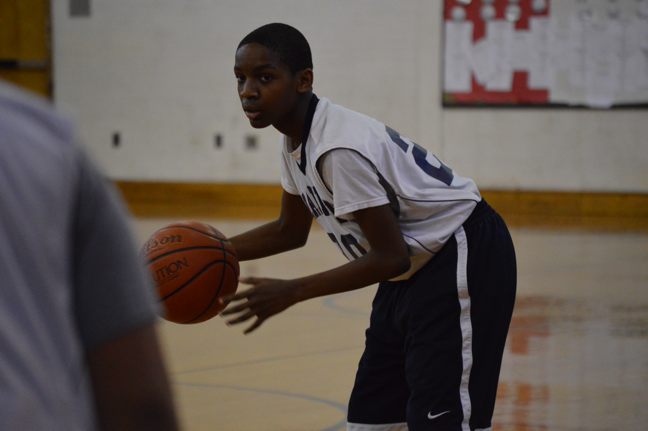 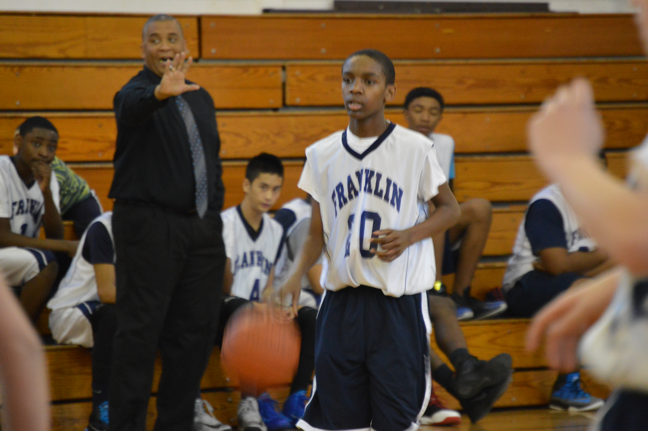 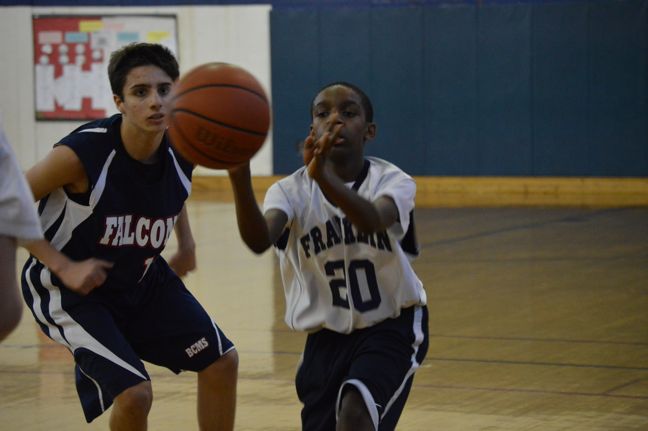 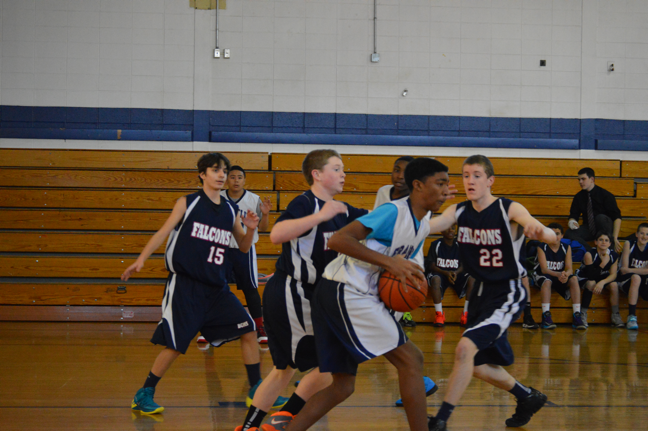 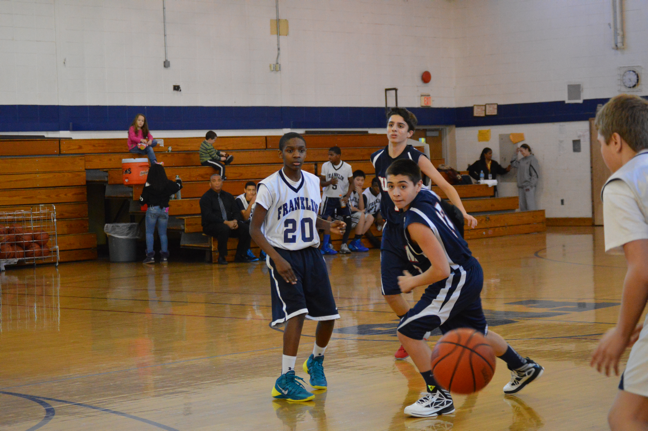 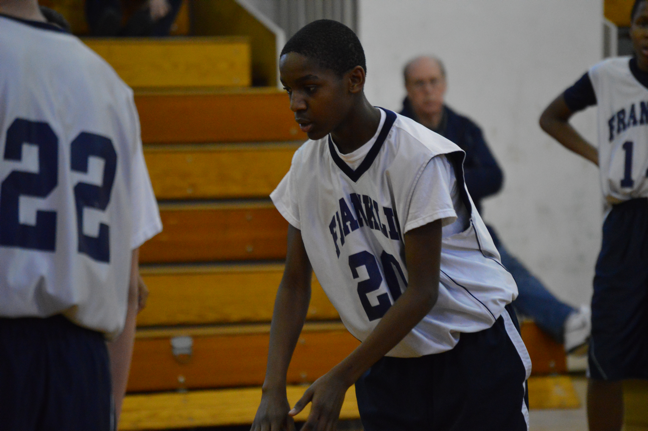 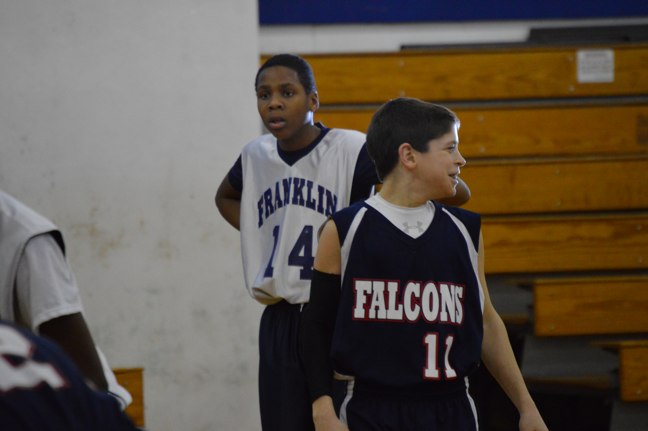 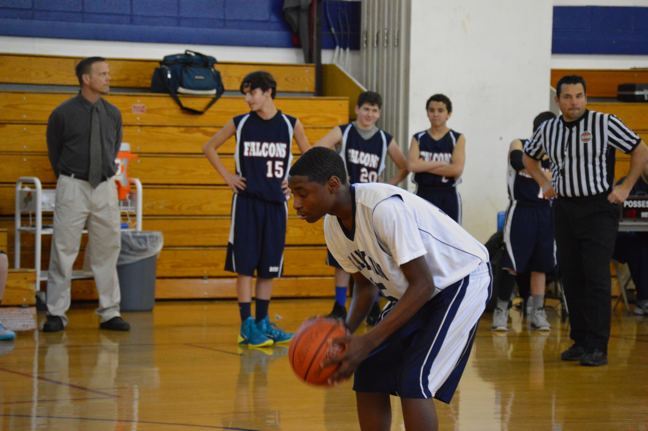 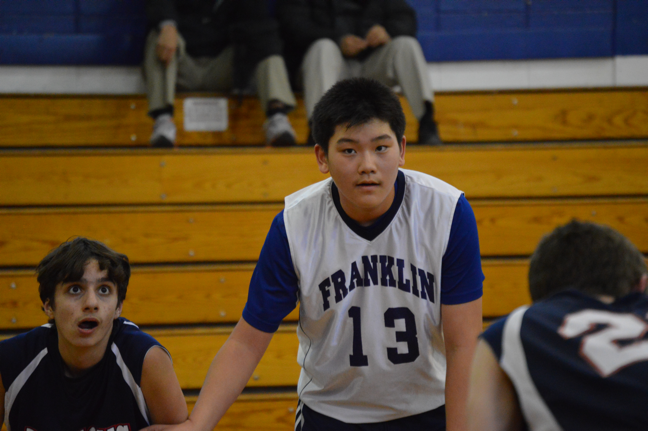 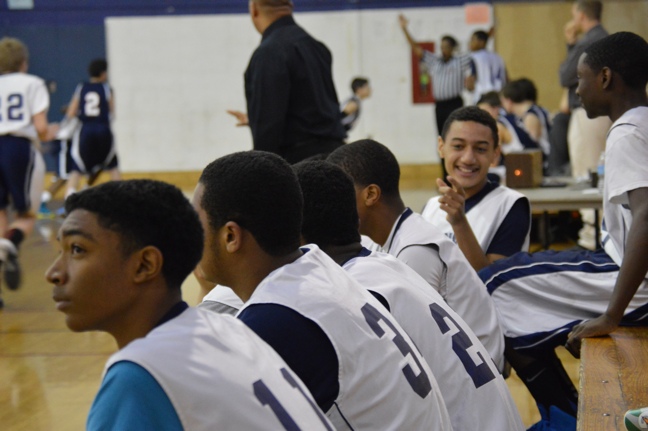 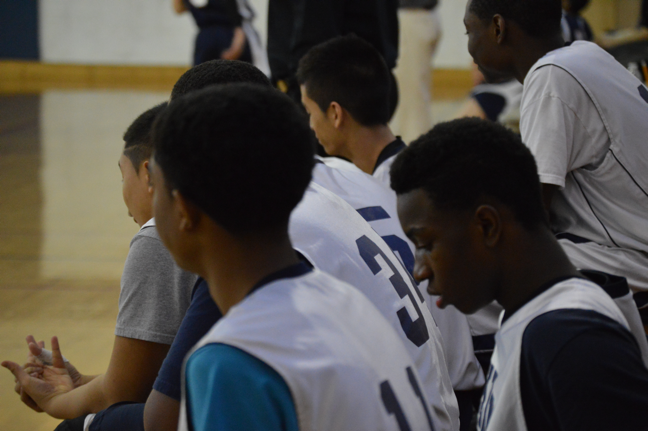 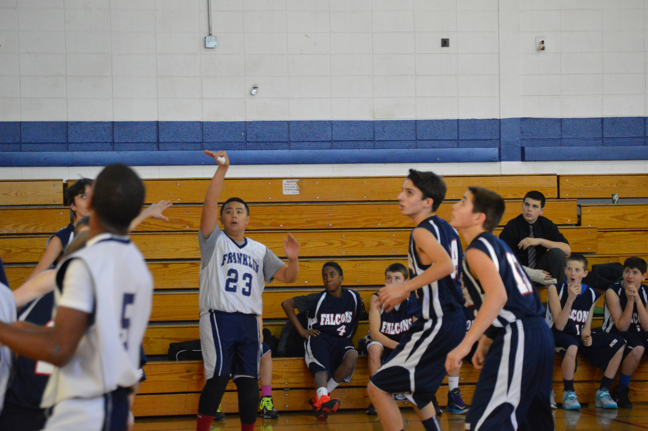 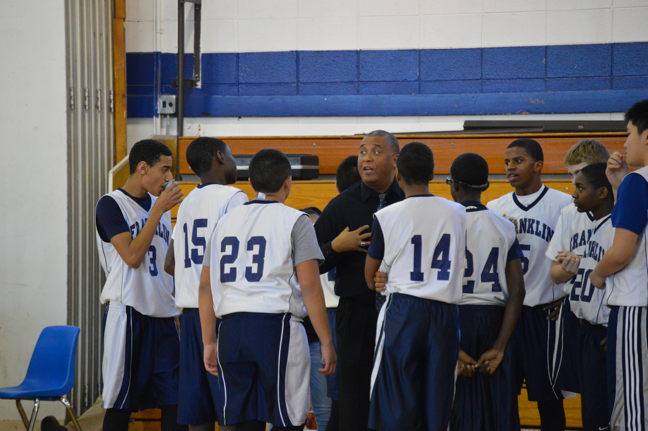 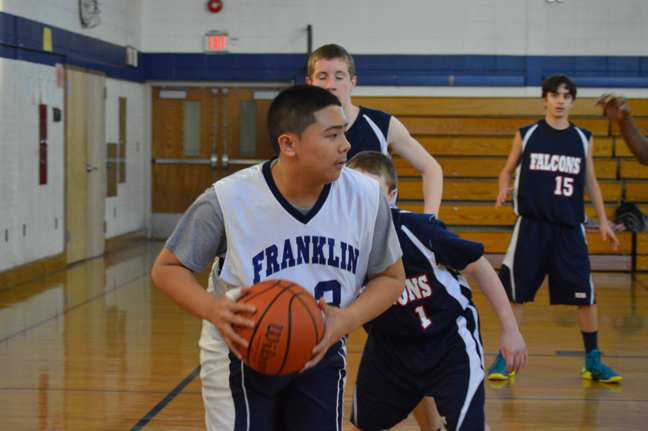 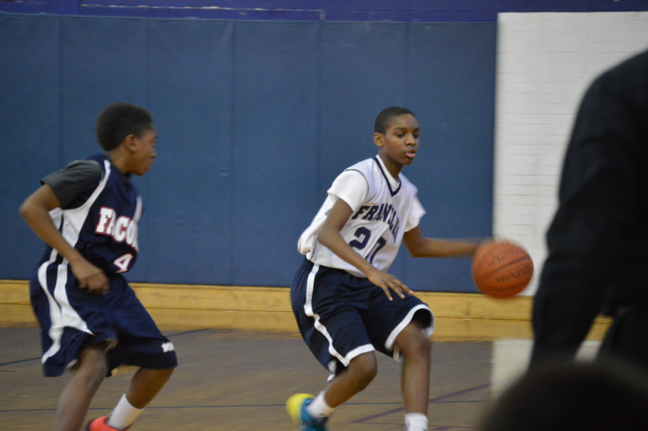 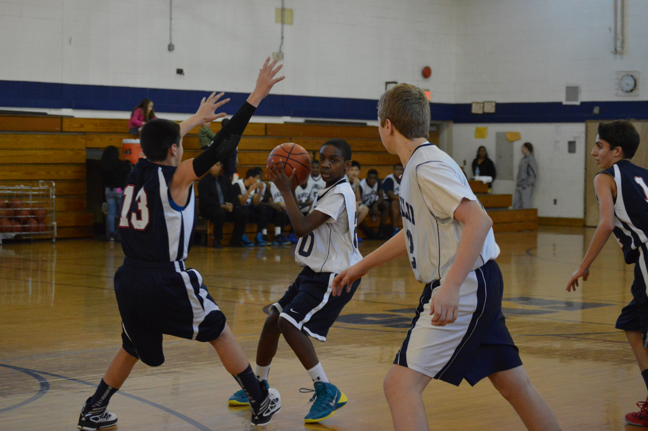 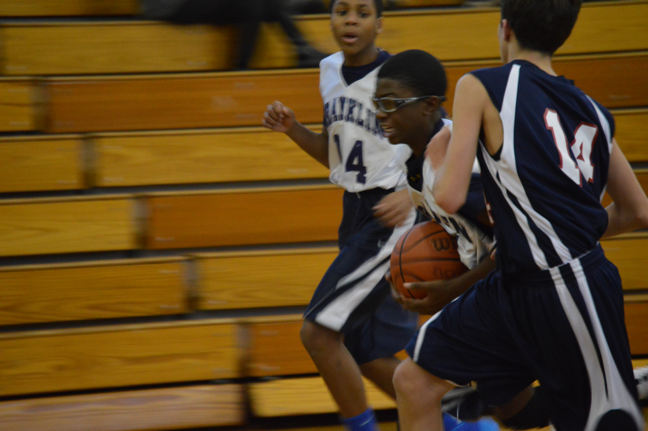 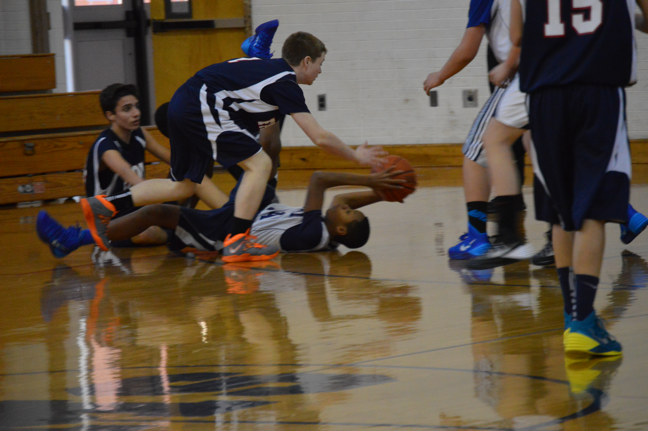 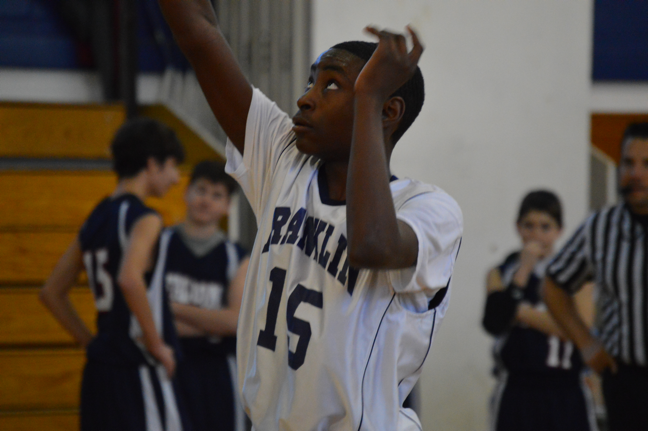 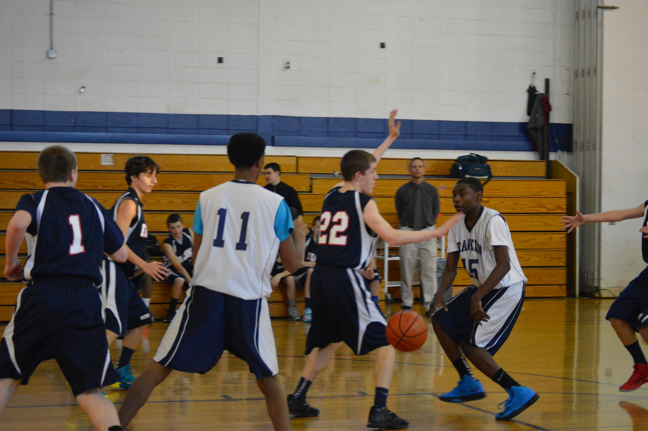 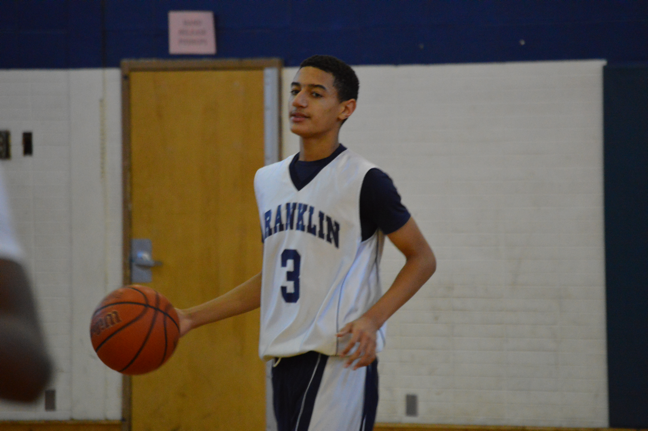 After scoring 16 unanswered points in the first quarter, the Franklin Middle School boys’ basketball team coasted to a 38-27 win over Branchburg Central Middle School on Jan. 24. 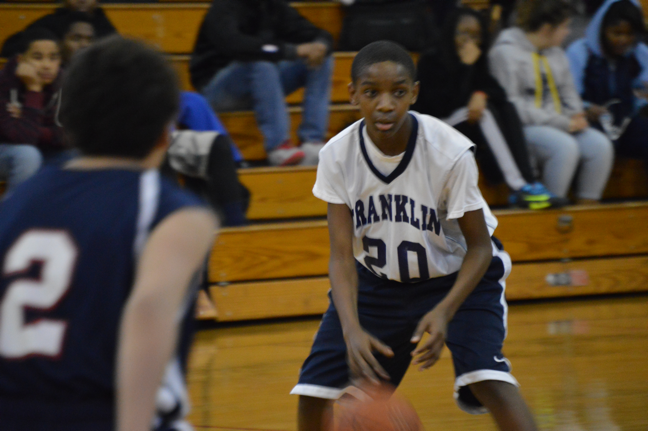 Franklin increased that lead to 31-5 at the half. 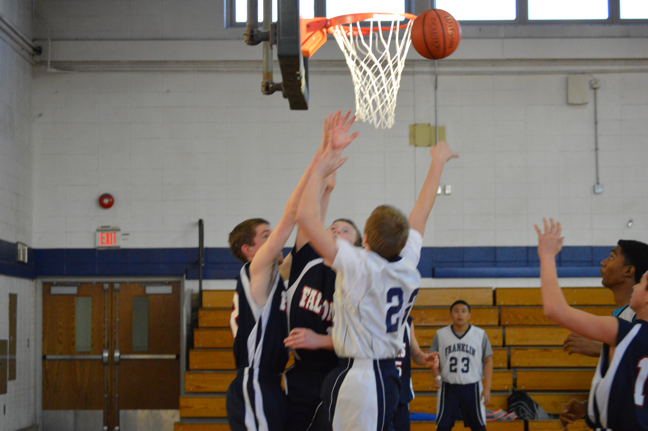 But the team was only able to score 7 points in the second half, while Branchburg netted 22 – many of which were 3-pointers. 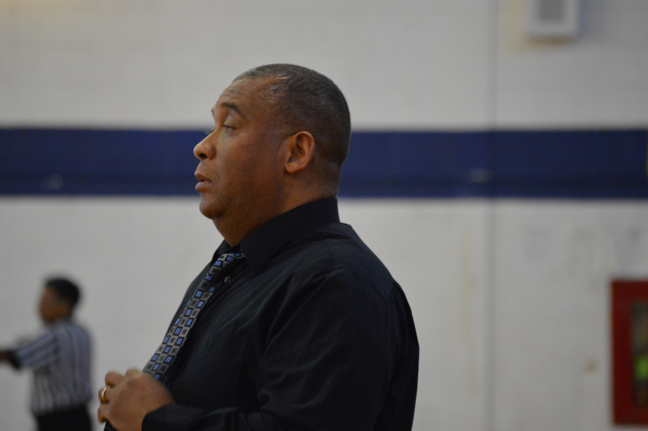 “We could have stepped up more with the guys who got in for most of the game,” Harris said. 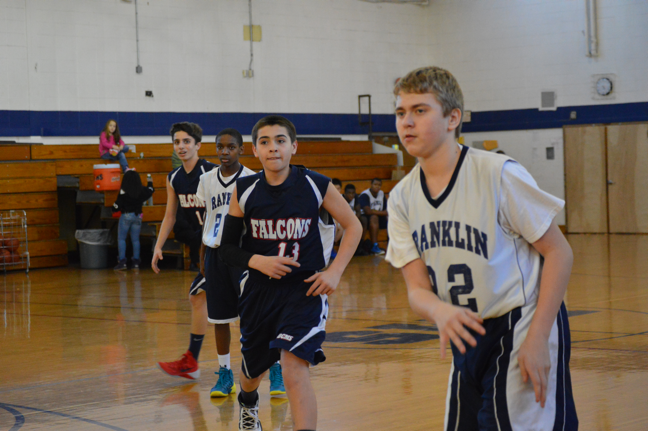 With the win, the team improves to a 4-9 record.